Project costs vary depending on project requirements. Please call for pricing quote details. From initial contact to after installation, working with Dream Cast was a smooth and positive experience. 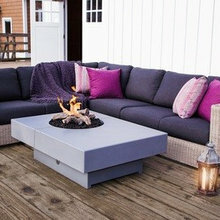 They are very professional, and provide outstanding products and customer service. The installers are truly magicians - their work is impeccable. We definitely recommend Dream Cast and look forward to working with them on future projects. 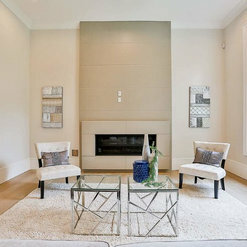 We are very pleased with our Dreamcast fireplace mantle and surround installed in our recent renovation. The styles and colours available included a very good match to what we wanted. Since our installation had to fit up to existing brickwork a representative visited our home and verified all dimensions so there were no fit-up issues on installation. The installation only took a couple hours and the installers were very professional. They took special care to protect our hardwood floors from any damage and did a thorough clean-up when they were done. Thank you for your feedback! It's important for us to hear back from our customers as we all try our best to provide a process and product that leaves a good impression. 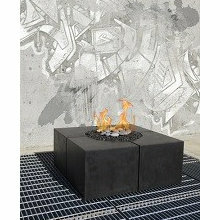 We just installed our new Quadra fire table and we're thrilled with it. Our experience from first phone call to quote, to production time and delivery, was first class. The unit was easy to install for our contractor and came with all correct parts and fittings. I would highly recommend this company, both their products and their people. Thank you very much for such a warm review, David! It was our pleasure to deliver the product you love. Catherine and the install team provided excellent service once again. I have used this company both personally and professionally in the past and they never disappoint. Kelly, thank you! It is always our pleasure working with you! 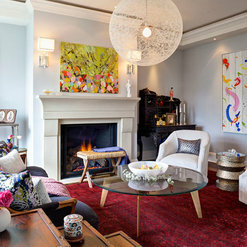 I love the fireplace, the work was done greatly professional. Thank you very much Dream Cast Design you make my dream come true. Thank you, Tatiana! We are pleased that you love the end result! These guys are really excellent, very professional and their product is great. The installation was flawless and done to a very high standard . I would highly recommend this company.. Thank you, Andrew, for such nice words! It was great working with you on your custom fireplace surround. Thank you for the review Nav! We really appreciate the feedback, and we're thrilled have been part of your beautiful home project. 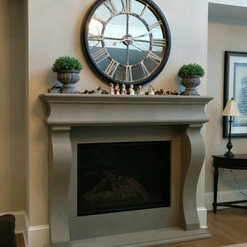 I hired DreamCast for our custom fireplace surround and was very impressed with their design ideas and professional service. The installation team was top-notch. The end result was stunning. Thank you for such a kind review. We are glad that you like the end result. 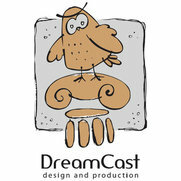 I've used DreamCast designs on many of my projects for custom fireplace surrounds. I've always had wonderful results and the finished product is always done to exacting standards. I would highly recommend them. They are easy to work with, have great problem-solving ideas and deliver a great quality product, on time. Thank you for such a fabulous review! We always enjoy working with experienced professionals. 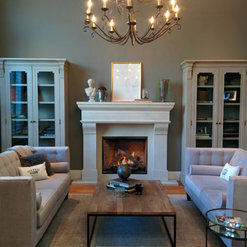 Scagel Design interiors are always gorgeous. We look forward to many more fantastic projects together. It's always a pleasure working with DreamCast Design. They are professional, competitive and detail oriented. 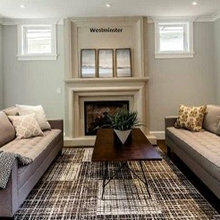 The concrete fireplaces turned out fabulous and made the clients very happy. I would highly recommend them for future projects! Thank you, Vesna, it was our pleasure working with you. We are looking forward to many more projects in future. I worked with DreamCast Design to complete two fireplaces in my new home. 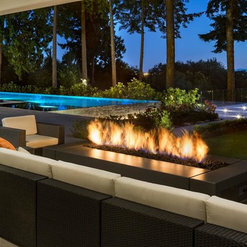 They came in to my home according to the scheduled date and time, worked efficiently, and did a superb high quality job. It was a pleasure doing business with them and look forward to using them in the future. Thank you very much for such a great review! We appreciate it and thrilled to have been a part of your project! 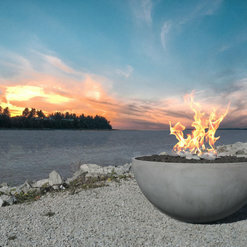 Fire Bowl Or Fire table? Commented: Room dimension?Hello - we don't have information regarding the room size or window. However, the fireplace mantel is 6' wide and 60&quot;high. 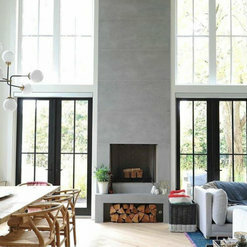 Commented: Can you tell me what color this fireplace is? Is it chalk or moonlightThank you for your question. This fireplace is in Chalk. 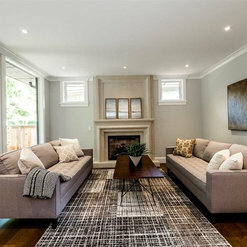 Commented: Who makes the couch?That is an automatic tag that was done by Houzz at time of upload, and we were not aware of it, nor can we remove it. 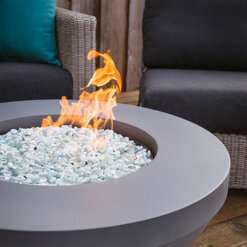 Commented: What would the sqft cost be for this type of fireplacePanels are $28/sqft, and the 4&quot; deep Bracket Surround ranges from $1,240 to $1,900 depending on required size to frame the gas unit. Commented: what is the wall paint color?Sorry we were not involved in that aspect. We made the concrete surround.